The felt bag by Hey Sign is a real all-rounder. Ideal for work, shopping, running errands or university: the practical bag with leather handles make carrying books or errands effortless. The bag offers two inner pockets and a practical magnetic clasp to have easy and quick access to every important item in it. The slim leather handles offer an interesting material mix, which is both visually appealing as well as pleasant to the touch - it's no wonder that the Hey Sign bag is considered as an essential companion. It is recommended to only clean the felt bag by hand. The bag should thus be carefully brushed or washed with a detergent for woolens or shampoo. To preserve the natural structure of the leather, the handles of the bag should be protected from water. Since felt stays in the shape in which it dries, it is recommended to fill the bag with a towel or something similar during the drying process. This way, the original shape is maintained. Emerging through several fabrics crumpling against each other, small fabric knots can be removed with a lint shaver. The Allrounder Bag by Hey Sign is available in three different sizes in a landscape or portrait format. 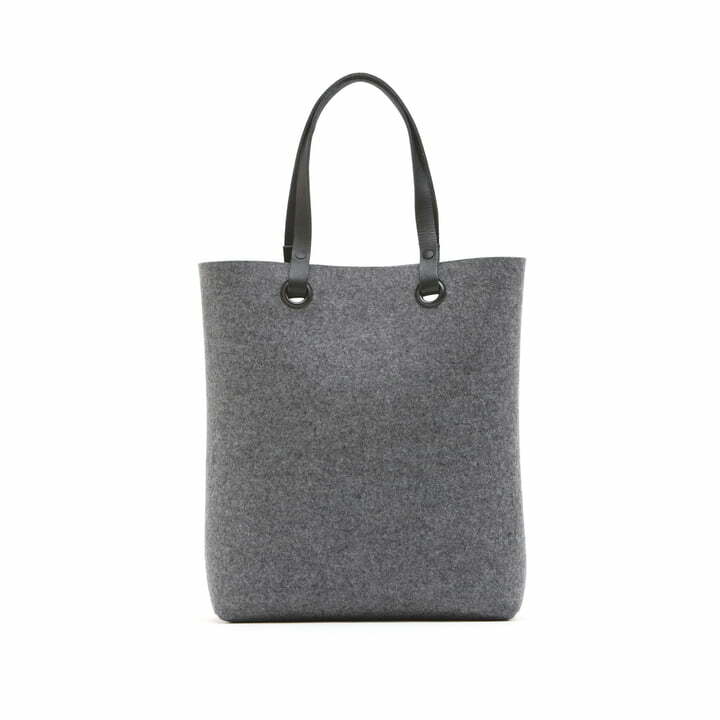 Upon request, the bag is available in a number of different other felt colors.